The Derby & Notts Swimming League is the main competition for our junior swimmers. 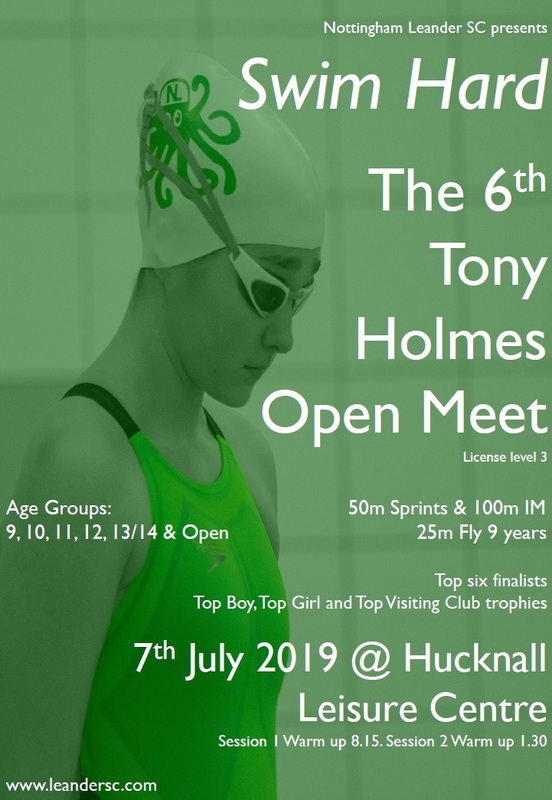 With the best clubs from the two counties doing battle over three rounds for the privilege to represent the area in regional and national finals, the competition is always tight with the youngest swimmers providing the highest quality. The 2019 League kicked off on Saturday night with NLSC sending forward two strong squads to represent the Green Octopus. Earlier in the day our preparations took a hit with Elissia Bowen unfortunately suffering a broken elbow. Little in stature but big in both heart and talent the collective desire to ‘do it for Liss’ shone through. Team 1 were drawn to race at Lammas Leisure Centre against Sutton, City of Derby B, Swadlincote, Buxton and Nottm Falcon so the competition started with a real test from the outset. With a team made up of our Nova based and Squad members with numerous county championships, medals and experience we were good to go and bolstered by the team debuts of two of the newest Green Octopi, Hannah Edwards and Kallum Quirke. It’s best practice to start on the B of the Bang and NLSC certainly did with three victories from the first three races. The tone set, it carried on throughout the gala with the number of first and second places keeping the scoreboard ticking over at pace. All in all, 16 PBs were set by Team 1 over the course of the evening to underline the quality on display. Special mentions go to Charlotte Seddon for putting in an Iron Man shift and a half in over her seven races, Ben Sharp for delivering another Butterfly masterclass just one week after his previous effort, James Beale for going PB after PB but really this was a celebration of the whole team’s performance. Only a team can put together a series of results that delivers a 43 point victory over Sutton in second place. A simply stunning performance to cheer the whole Green Octopus and a statement made with City of Derby A and others waiting in the wings. Talking of City of Derby A, Team 2 were drawn against them at Hucknall Leisure Centre alongside Etwall, Eckington, Ilkeston and Hucknall & Linby. With a team made up of Squad and Development swimmers this army of the Green Octopus also swam strong and happy throughout the night too. Here special mentions have to go to Nico-Kershaw Garcia, Casey Burr, Eleanor Woodward and Tarun Balamurugan for some gutsy swimming when wearing the famous cap. Theo Mabbott showcased some real speed in all his events and completely unfazed when losing googles and hats at various times which was mirrored by Zoe Bailey who swam her 50M Butterfly with such powerful grace that her hat couldn’t keep up either in a huge PB. Harriet Dickerson showed a great return to form in her Butterfly by delivering such a perfect rhythm that would make James Brown smile. Gil Bailey turned in another Iron Man shift with his seven events with a smile and spirit that you just can’t help but admire. The dynamic duo of Even Horsley and Isla Mitchell also carried over their great form County Relays too. But the stand out performance came from Laurel Roberts-Burrell in his NLSC debut. Also working the Iron Man shift of seven events, Laurel showed some extreme raw pace, great competitive spirit and a smile that could block out the sun. Saturday night could be that start of something special here. As with Team 1, it was all about the team at Hucknall. Pulling together and cheering each other on throughout the night it came down to the Cannon. Standing in fourth place on the blocks there was an outside chance of sneaking third if we performed well. City of Derby A were excellent and out of sight in the lead but third would’ve been nice. Just like the first round of the Stage 3 League, NLSC were involved in another Cannon for the ages. 2nd, 3rd and 4th places were exchanged as the lengths ran down. Then comes the final leg. Metres turn into centimetres and then the splash and spray makes it difficult to see. Timekeepers, judges, team managers and swimmers all let out collective ‘Ooooooos’ as they touch and then nervous smiles as that looked really close. Really really close. Leander Team 2 2nd by the touch, third place overall on the night by a point. The icing on the cake and a fantastic end to a fantastic evening. Wherever fate takes us in the next two rounds we go safe in the knowledge that our youngest swimmers will race without fear and do themselves and the club proud. Why? Because these kids are alright.